Now if you by chance are looking for a festive Holiday paper garland, I have three very fun ones available for purchase in my Etsy shop. One has gold tones to it with a very mod pattern, one is full of festive modern green and one is a more traditional color palette of red + green. All cute. 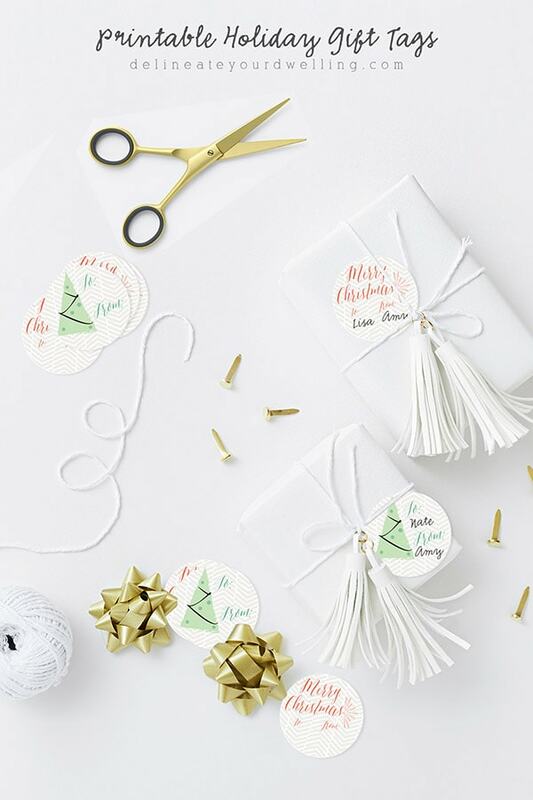 However, if you are looking for the Printable Holiday Gift Tags, then this post is where you want to be! There are two styles of gift tags available. A red Merry Christmas gift tag and a green Holiday tree! 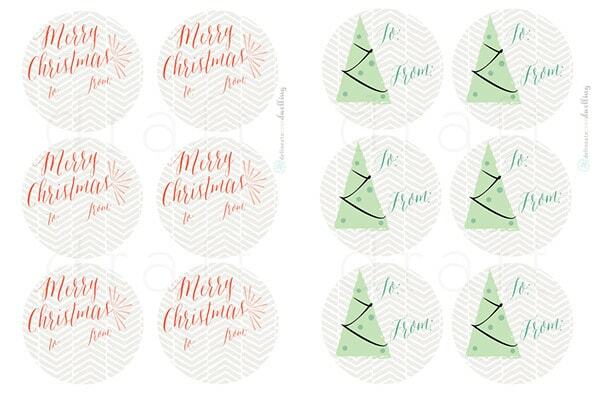 Each set of gift tags is designed to fit an 8.5 x 11 size sheet and you can easily print them straight to your home printer or a local print shop, if you decide. > >Download red Merry Christmas gift tags. > > > Download green Tree gift tags. Looking for other awesome printables? What about these? Thank you so much for these lovely tags! These are darling!! I’ve been adding tassels to my gift tags this year too. Merry Christmas Amy! Tassels really make everything better. Merry Christmas to you, too! !